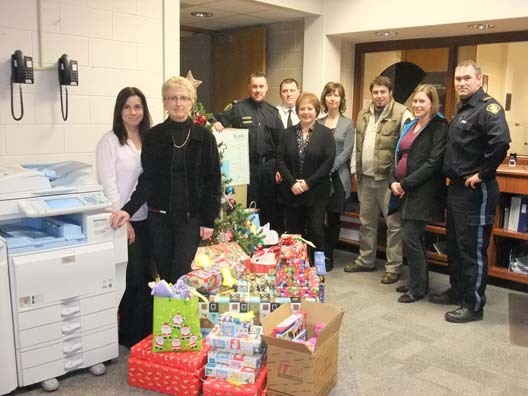 Included in photo is Norfolk County Ontario Provincial Police staff, Cindy, Sue, Adam, Paul, Debbie, Sheri and Rob along with Children’s Aid Society workers Maria and Greg accepting the donations. The Norfolk OPP graciously sponsored 6 families this Christmas within Norfolk County. Special thank you to Teresa and her helpers Cindy and Patti for their many hours of extra work putting this wonderful donation together. Thank you to all officers, staff and their families that participated. You have all made Christmas a little more special for these families with your gifts.